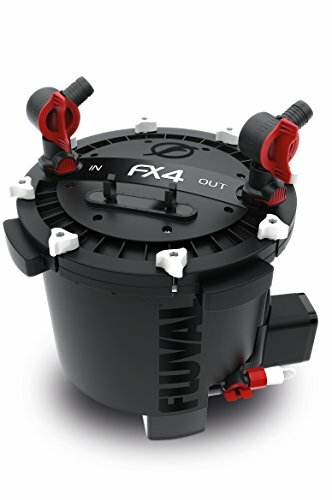 Building on the mighty FX performance and reliability platform, the all-new FX4 high performance canister filter is a compact 'little brother' to the FX6. The FX4 bridges the gap between the Fluval 406 and the FX6 canister filter, making it an ideal choice for aquariums up to 250 US Gal (1000 L). Manufacturer: Rolf C. Hagen (USA) Corp. Publisher: Rolf C. Hagen (USA) Corp. Studio: Rolf C. Hagen (USA) Corp. If you have any questions about this product by Fluval, contact us by completing and submitting the form below. If you are looking for a specif part number, please include it with your message.